Every athlete knows how important it is to recover from fatigue after a training or a competition. We have different methods of recovery, but a good night’s sleep is still the most natural behavior to get our DHEA hormone going. Dehydroepiandrosteron (DHEA) is a natural hormone that gets our cortisol and adrenaline levels down and therefore it is a key player against burn out and extensive stress periods. If our reptile brain (amygdala) takes over in these stress phases, there is a chance that it blocks DHEA from being produced, this is most of the time paired with a lack of sleep and less energy. Even in an early stage, it is advisable to seek professional help for burnout. The professional may be a part of the company, identified through an Employee Assistance Program (buddy system). Assistance Programs should include “best practices” for dealing with stress before they surmount the person’s ability to deal with it. Today companies are using complete “Employee Assistance Programs” and specialized workshops to help beat this work disease and also helps human productivity through corporate wellbeing programs. Workshops for stress management are amongst the most common. Mostly, these stress workshops teach the attendee how to work through the stress as an unavoidable condition of work. 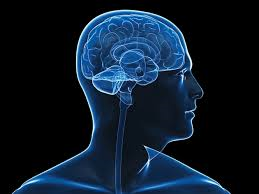 Fringe techniques such as meta-cognition and holistic programs are very valuable in this field. Their justification is only applicable if the person is emotionally and mentally available for change. Therefore our Academy promotes the social interaction component in beating burn out because people accept these opportunities for refreshing and dealing with stress factors better as a group. Burn-out is a common fear associated with high-pressure careers, lawyers, air traffic controllers, and physicians. Now, when we look at the four factors that lead to burn-out, we know it can happen to almost anyone. Its components interplay with each other and require a sharp eye to see how these factors are changing you. If you notice that you are becoming lethargic and avoiding work, please seek help. Your happiness and health is what matters at the end. Falling all the way down to the burn-out syndrome will leave you both empty and scarred. Stress management, camaraderie, knowing and using your core talents and a balanced work-private life are the best preventive measures to never going over the other side of the hill.